Honda Certified***This Stunning 2016 Honda Civic LX has Only 25k Miles and has Passed Honda's 182 Point Inspection and is Now a Honda Certified Vehicle***One Owner***Locally Owned and Serviced***Bought from Vatland Honda Originally***Loaded with all the Power Equipment***Our Internet Department is Standing by to Answer Any Questions you May Have***Vatland Honda is the "Dealer for the People***Always a Whale of a Deal*** Recent Arrival! 31/41 City/Highway MPG Awards: * 2016 IIHS Top Safety Pick+ (When equipped with honda sensing) * NACTOY 2016 North American Car of the Year * 2016 KBB.com Brand Image Awards 2016 Kelley Blue Book Brand Image Awards are based on the Brand Watch(tm) study from Kelley Blue Book Market Intelligence. Award calculated among non-luxury shoppers. For more information, visit www.kbb.com. Kelley Blue Book is a registered trademark of Kelley Blue Book Co., Inc. Vatland Automotive is proud to servce the following cities and communities: Vero Beach, Stuart, Fort Pierce, Palm Bay, Rivera Beach, Cocoa Beach,Greenacres, Titusville, Delray Beach, Winter Haven, Orlando, Coral Spring, Sebastian, and the Treasure Coast. Our Internet Value Priciing mission assures that you will receive real-time and transparent value pricing. We've done the negotiating for you!! This Sporty 2016 Honda Civic 1.5T 4D EX-L has just been Traded-In to us and It is "Awesome"***This Crystal Black Pearl Exterior with the Black Leather Interior makes this 2016 Honda Civic 1.5T EX-L like it belongs in a James Bond 007 Movie***Cool Gadgets Like, SMS Texting***Pandora Internet Radio Interface***Honda LaneWatch***7"Display Monitor with Touch Screen***Enjoy the Power Seat***Power Windows***Power Sun Roof***Tilt***Cruise Control***Much More***Ok 007, Your Next Mission is to Come Buy this Amazing 2016 Honda Civic 1.5T EX-L 4 Dr***Our Internet Department is Standing by to Answer any Questions you May Have, Ms. Moneypenny is Waiting 007***Vatland Honda is the "Dealer for the People"***Always a Whale of a Deal*** Drive with Confidence with our Exclusive 90 Day/3000 Mile BUMPER to BUMPER Warranty***Our Internet Department is standing by to answer any further questions you may have*** Recent Arrival! 31/42 City/Highway MPG Awards: * NACTOY 2016 North American Car of the Year * 2016 KBB.com Brand Image Awards 2016 Kelley Blue Book Brand Image Awards are based on the Brand Watch(tm) study from Kelley Blue Book Market Intelligence. Award calculated among non-luxury shoppers. For more information, visit www.kbb.com. Kelley Blue Book is a registered trademark of Kelley Blue Book Co., Inc. Vatland Automotive is proud to servce the following cities and communities: Vero Beach, Stuart, Fort Pierce, Palm Bay, Rivera Beach, Cocoa Beach,Greenacres, Titusville, Delray Beach, Winter Haven, Orlando, Coral Spring, Sebastian, and the Treasure Coast. Our Internet Value Priciing mission assures that you will receive real-time and transparent value pricing. We've done the negotiating for you!! Honda Certified***This 2019 Honda Civic LX is the "Perfect" Vehicle for You***It is Your "Civic" Duty to Look at This Amazing 2019 Honda Civic LX***Only 3K Miles***One Owner and a Local Vehicle***Loaded with All The Power Goods***Back Up Camera and Much More***Our Internet Department is Standing by to Answer Any Questions you May Have***Vatland Honda is the "Dealer for the People"***Always a Whale of a Deal*** Recent Arrival! 30/38 City/Highway MPG Certification Program Details: Type your description here Vatland Automotive is proud to servce the following cities and communities: Vero Beach, Stuart, Fort Pierce, Palm Bay, Rivera Beach, Cocoa Beach,Greenacres, Titusville, Delray Beach, Winter Haven, Orlando, Coral Spring, Sebastian, and the Treasure Coast. Our Internet Value Priciing mission assures that you will receive real-time and transparent value pricing. We've done the negotiating for you!! This 2018 Honda Civic Hatchback EX is an Absolute Head Turner***Wait until you See this Crystal Black Pearl 2018 Honda Civic EX Hatchback with only 4k Miles***182 Point Inspections make this 2018 Crystal Black Pearl Honda Civic Hatchback EX a "Honda Certified" Vehicle***That Means, A Lot of Extra Warranty for You***Loaded with Power Sun Roof***Windows***Locks***Tilt***BlueTooth***Much...Much...More***If you Get to See this Bad Boy, You Will Want To Buy It, "No Pushing and Shoving Please"***Our Internet Department is Standing by to Answer Any Questions you may have***Honda Certified***Vatland Honda is the "Dealer for the People"***Always a Whale of a Deal*** Recent Arrival! Odometer is 8607 miles below market average! 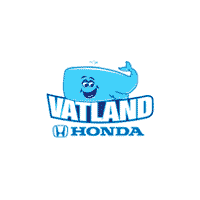 31/40 City/Highway MPG Vatland Automotive is proud to servce the following cities and communities: Vero Beach, Stuart, Fort Pierce, Palm Bay, Rivera Beach, Cocoa Beach,Greenacres, Titusville, Delray Beach, Winter Haven, Orlando, Coral Spring, Sebastian, and the Treasure Coast. Our Internet Value Priciing mission assures that you will receive real-time and transparent value pricing. We've done the negotiating for you! !